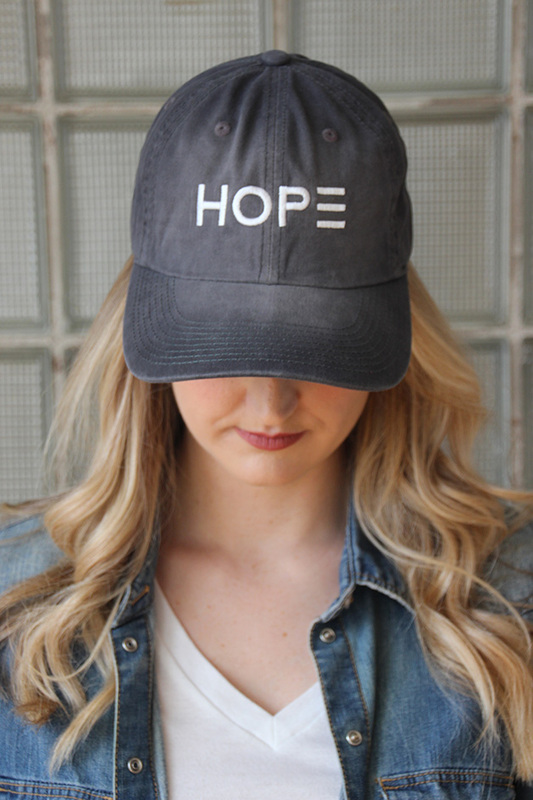 Susan Elwer, owner of Hands & Feet, blends her passion for designing apparel and accessories with inspiring messages and her desire to elevate awareness about hunger in the U.S. and provide food for children through in the process. Hunger directly impacts children’s physical and emotional well-being, stunting growth during their formative years, impacting behavior and negatively affecting their performance in school and extracurricular activities. The ripple effect spreads far and wide. The desire to create the designs came to Elwer in a vision while she was in church. Afterwards, she wrote down her idea, but it never evolved past that note on the piece of paper. A year passed, and she became a teaching assistant in a preschool classroom in Early Childhood Family Education at Oak View Elementary School. It was there she discovered that one of her students, who was only 4 years old, had not eaten lunch for the first three months of school. This realization moved her to tears and brought back memories of growing up on welfare during her own childhood. “I was all too familiar with the shame and stigma associated with food insecurity and related issues. I knew that this was my opportunity to do something. Ultimately, this is when vision met purpose,” Elwer said. Elwer considers this shift to act as one of the defining moments in her life since it has allowed her to fulfill her vision of inspiring others and has also driven her to contribute to an issue that has been close to her heart all of her life. Once she decided that she would use apparel as the method of raising funds to battle childhood hunger, she diligently researched non-profits she could partner with to make sure the money was used in an effective way. She also found an apparel distributor and someone with experience in computer technology to develop and design her website since the business is strictly online. “From there, the network of people who wanted to help started to expand rapidly, which has been one of the most beautiful, humbling parts of this entire experience,” Elwer says. In August 2017, she officially launched Hands & Feet with her husband, Eric. The name for the company stemmed from an idea for a possible T-shirt design, which was meant to inspire others to use their “feet” to “go” and “hands” to “serve.” This is the main message behind the organization since Elwer is dedicated to using her platform to go and serve children, who are unable to help themselves. 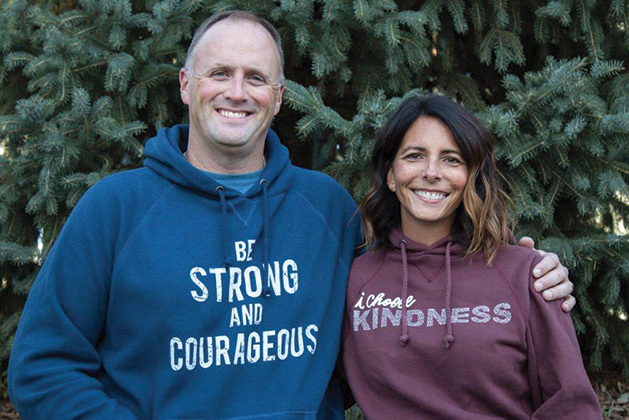 The company sells apparel with the messages Elwer chooses, and 50 percent of the profits are donated to the company’s nonprofit partners, such as Second Harvest Heartland and Land O’ Lakes, which work to end childhood hunger. Second Harvest Heartland, which is located in both Minnesota and western Wisconsin, is an organization that works to raise funds to provide meals to kids, as well as increase awareness about hunger in communities around the state and in the Midwest. Heather Olson, director of corporate partnerships and cause marketing, focuses on the mutual benefits for both Second Harvest and Hands & Feet. By partnering with Hands & Feet, Second Harvest receives 50 percent of the profits. With every dollar it receives, it can give three children a meal. “Customers can make an impact by helping us distribute more meals into the community through our agency partners, which include food shelves, meal programs, child hunger focused programs and more,” Olson says. Second Harvest also gives T-shirts to Hunger Solutions, a company that uses the proceeds to donate meals to families, for its Walk to End Hunger, which takes place every Thanksgiving morning at the Mall of America. Along with more local organizations, one of Hands & Feet’s larger partnerships is Land O’ Lakes, which recently became interested in the company to design diversity and inclusion shirts for its new Diversity Supplier program. “Our mission at Land O’ Lakes is feeding human progress and much of our community giving and involvement surrounds education, hunger and strengthening communities. Hands & Feet is committed to ending childhood hunger in the United States, so it was a perfect fit for both of us,” says Philomena Satre, director of diversity and inclusion at Land O’ Lakes. Land O’ Lakes wanted to partner with someone who embodied its goals and who had a mission the company could stand behind. Employees of Land O’ Lakes buy the shirts and are also given a card that explains Hands & Feet’s mission and encourages the employees to focus more on diversity and inclusion in the workplaces and other spheres of their lives. Hands & Feet currently offers T-shirt designs for men and women with messages such as “Be Present,” “Be Strong and Courageous” and “Love is Patient Love is Kind.” It even has clothing for children, since they are the ones targeted in this campaign, with colorful messages including one cleverly designed to look like a food pyramid with the words “I am the future” on the inside. For those with a closet full of logo T-shirts, Hands & Feet offers hats and mugs with many of the same clever sayings on them. It also designs and sells apparel for events and corporations that want to use these messages and clothes to help in efforts to diminish the hunger epidemic. “Through our give back, our plan is to make a significant impact in reducing the prevalence of childhood hunger in this country,” Elwer says. After its initial start in 2017, Hands & Feet created 18,000 meals in the first four months, and its goal for 2018 is to provide 100,000 meals for children in the area. Staff are hopeful that more people will become educated about the cause and choose to donate or find ways to participate to continue the battle against childhood hunger. In the future, Elwer hopes Hands & Feet will expand its products and services to bring meals to children around the country. She envisions this goal by partnering with larger businesses and focusing on other companies that exist outside of Minnesota, as well as piquing the interest of celebrities and athletes, who can use their fan followings to spread awareness for this important cause. Hands & Feet will continue to work on expanding its brand and making improvements to meet these larger goals. Not only has Hands & Feet been supported by family, friends, other businesses and nonprofits, but also customers, who continue to spread the word and buy its products. Elwer notes that her customers appreciate the positivity Hands & Feet radiates through the messages on its apparel. One memorable interaction Elwer describes took place during the holidays at a pop-up event. 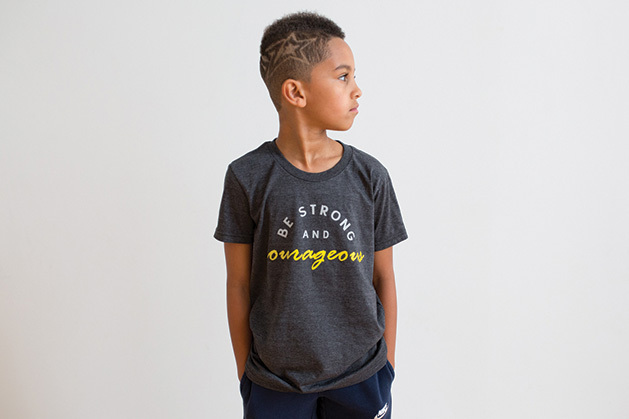 “A woman stopped in her tracks with a gasp when she saw our ‘Be Strong and Courageous’ T-shirt. She shared with us that it was her niece’s favorite verse, and that she had recently and unexpectedly passed away. It’s incredible how many meaningful conversations and connections we get to have,” Elwer says. 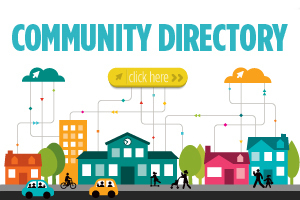 Switching gears from being a teaching assistant to becoming the full-time owner of a nonprofit business has been a whirlwind of emotions and experiences. Although Elwer never envisioned this path for her life, she is learning to enjoy being challenged and working hard to achieve and make a difference in the world. She also recognizes the value of being able to introduce her daughters to the world of entrepreneurship and help them to navigate their own successes in life. “Being able to create and build something that was just an idea a year ago and now watching it have an impact in our community has been extremely rewarding,” Elwer says. In the U.S., more than 13 million children do not know where they will get their next meal. In Minnesota, one in eight kids is impacted by hunger. Forty percent of K-12 kids rely on free or reduced-price lunches. Of these students, 85-90 percent don’t have access to breakfast and lunch during the summer when they are not in school.